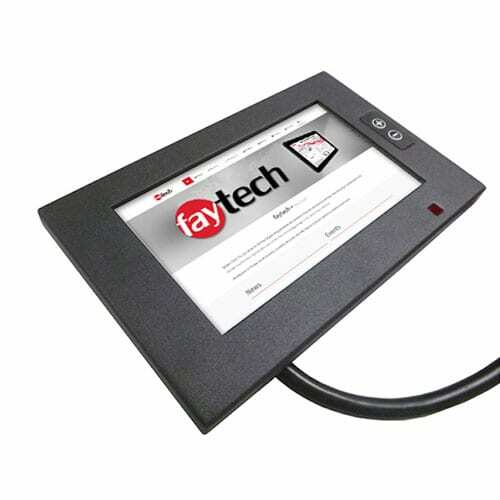 Both indoor and outdoor harsh environment commercial and industrial applications can benefit greatly from faytech North America’s IP65 High Bright Touchscreen Display series. The increased brightness (minimum 1000 cd/m² brightness rated) makes this monitor line the perfect solution for a broad range of use cases. The IP-65 protection rating means that these devices are incredibly dustproof and waterproof; making them ideal for outdoor display that must be depended upon to work in extreme weather conditions. Faytech North America high-brightness LCD technology stands out as the obvious choice among the customers who have already experienced the rich quality of our output. Our panels offer the highest quality standards in the marketplace. Our displays are equipped with IP65 technology and are engineered in a unique way to provide maximum readability to the user. These monitors basically work on the principle of adding extra light to support the main light. However, they have a particular drawback that they heat up more quickly than standard screens. Because of this, they also can cause higher energy bills. 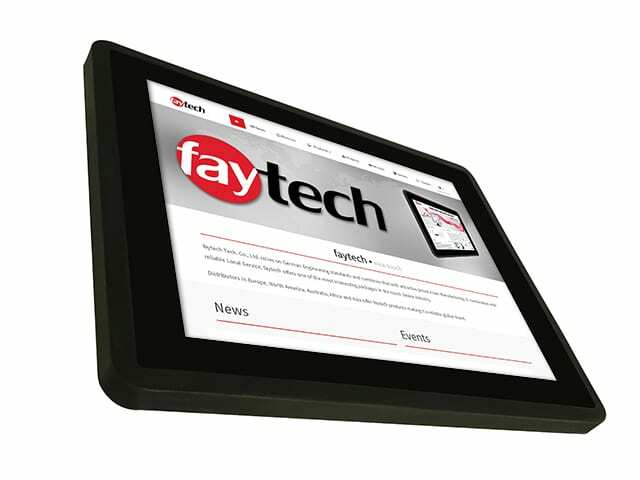 At faytech North America, we have engineered these displays to minimize the heat situation and also have countered the high-energy requirement with our special engineering that matches the benefits of normal high brightness screens, while reducing the typical setbacks that our competitors face. One of our most in-demand products is our high brightness touch screen displays followed by our industrial PCs. 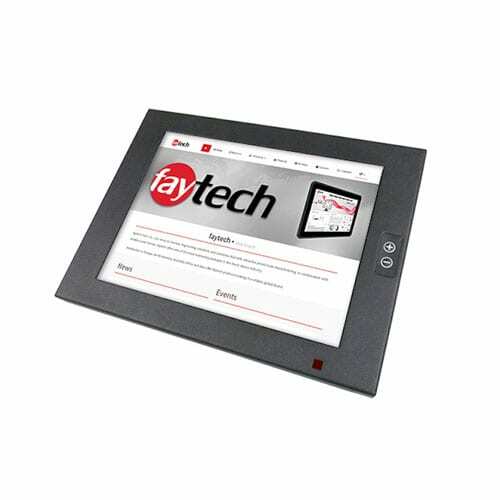 These panels utilize high-quality components in all-in-one systems or as stand-alone monitors. To add to this all of the surfaces are a touchscreen which gives additional user comfort and compatibility which takes the user experience to a whole new level. The displays are extremely durable and are lighter on the pocket, and inexpensive which makes them one of the better options in the market. 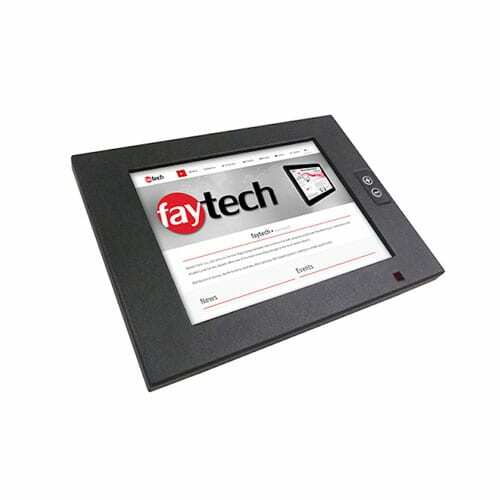 The faytech North America touchscreens are available in sizes of 7 inches, 8 inches,10 inches, 10.4 inches, 12.1 inches and a maximum size of 15 inches. When was such a touch screen first used? These displays can output up to three times as much light as a standard digital sign. Such monitors have been available since the early 2000s. They provide an effective way of advertising when used as digital signage and, of course, as the point of sale systems, in light affected workspaces, and in touchscreen kiosks. Do IP65 displays with high brightness screen technology help visibility? To date, all these touch screen displays have been largely used in the USA and Europe. They are well known in the states in industrial circles as they have a long life cycle, and are completely durable and reliable which makes our products a solid option. When we compare the standard normal version with the high brightness screen counterparts, the latter models stand out as the top product. If you compare our monitors with another brand of screen monitors, then we trust you will see that ours are the best choice owing to their excellent features and innovative setup. We ensure that your satisfaction is guaranteed. Also, faytech North America offers an amazing customer service which offers pre and post-buy assistance. 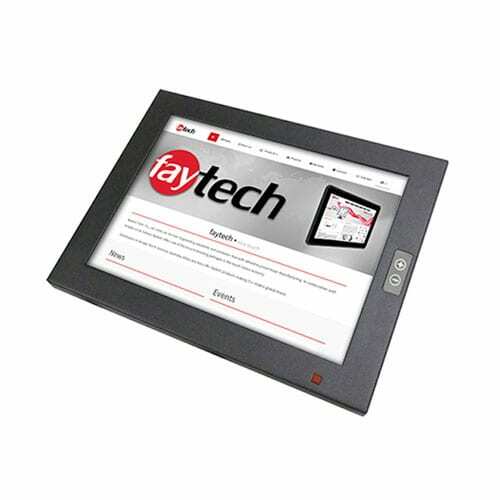 This makes faytech North America one of the top brands in ultra high bright monitors and sunlight readable technology. Contact faytech North America for all your questions.